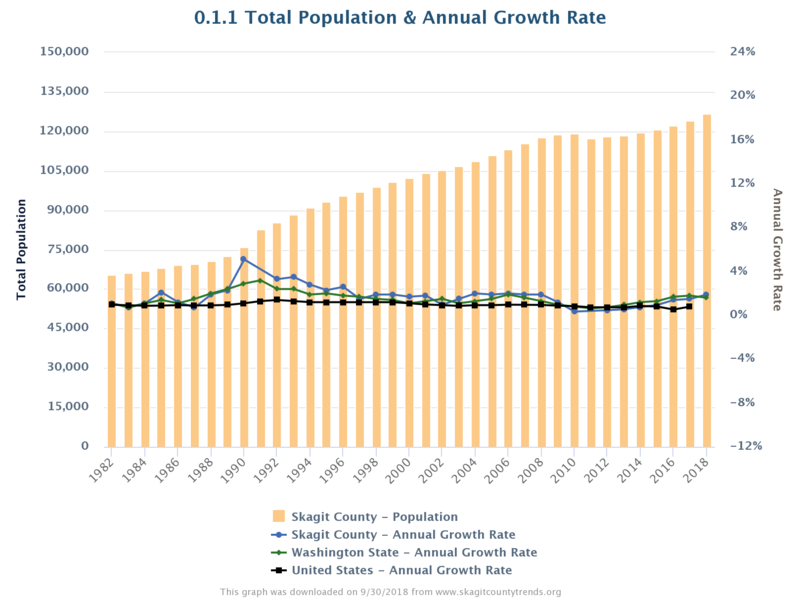 Skagit County's estimated population was 124,100 in 2017? There are over 106,000 acres of farmland in Skagit County? The per capita personal income of Skagit County during 2016 was $46,565? During the 2016-2017 school year, the on-time graduation rate was 73.3%?